A variety of entertaining puzzles to enjoy. Not all that unique or challenging. As Meredith fights to keep the magical books of Law, Magic, and Knowledge from the evil clutches of a powerful magician, she must fight with everything she has to fulfill her mother’s wish to keep the world safe from his dastardly designs. 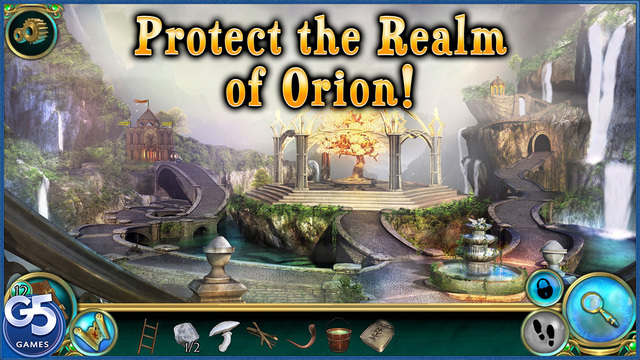 Myths of Orion: Light from the North is the latest hidden object adventure release from G5 Entertainment. It features a fairly standard story line for these types of games. There isn’t a whole lot in the way of a deep or truly gripping story line, but it is interesting and serves well enough to keep the game action moving along. 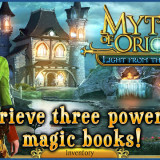 You play as Meredith, an apprentice enchantress who is now tasked with her late mother’s quest. Long ago, her mother stole the magical books from the magician, hiding them in a remote location. But now, the magician’s minions have located Meredith and the books, and it’s up to you to defeat them – and save the world. Along the way, you’ll face a variety of different puzzles that will keep you on your toes. These range from finding useful items hidden around the environment to completing puzzle mini games to do things like open locks. The items you find can sometimes be used as is, and other times must be combined to create the right objects. You’ll do a fair amount of wandering back and forth between locations as you locate things that need to be unlocked, and then find the items needed to do so. 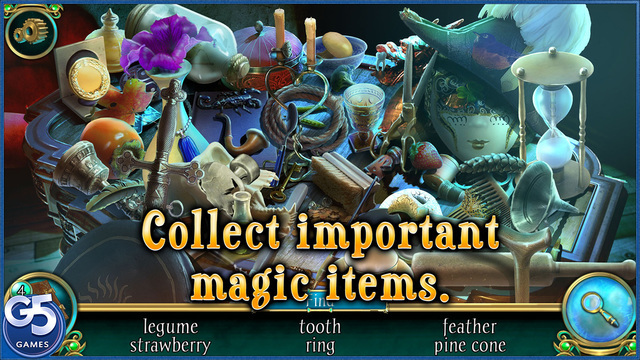 You’ll also come across a number of standard hidden object finds, which are typically the main draw to the game. 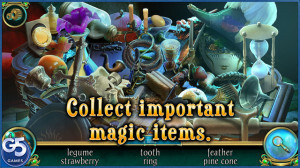 In these, you are given a list of objects to find amidst a jumble on a set screen. Once you’ve found all of the items, you are given an object you will need to advance in the game. The jumbles in Myths of Orion: Light From the North are fairly well done, with a variety of different types of jumbles, and not a whole lot of repetition. They could be a bit more challenging, but overall they’re nicely done. 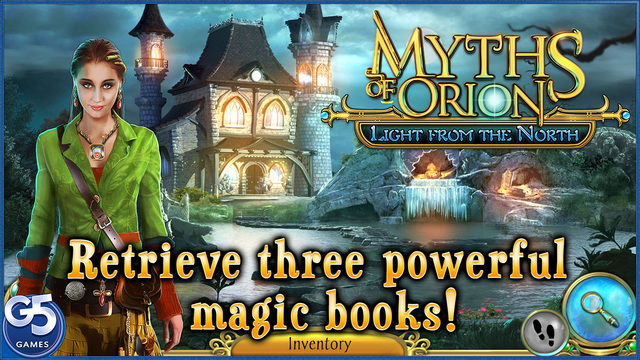 Myths of Orion: Light From the North is an entertaining jaunt through a variety of mystical environments. Though it doesn’t do anything all that unique in the genre, the variety of puzzles and object jumbles are enough to keep you occupied for a few entertaining hours of play. It isn’t super challenging, and the subject matter is overall quite unobjectionable, which makes it a good choice for the younger or less experienced hidden object fans in your household.